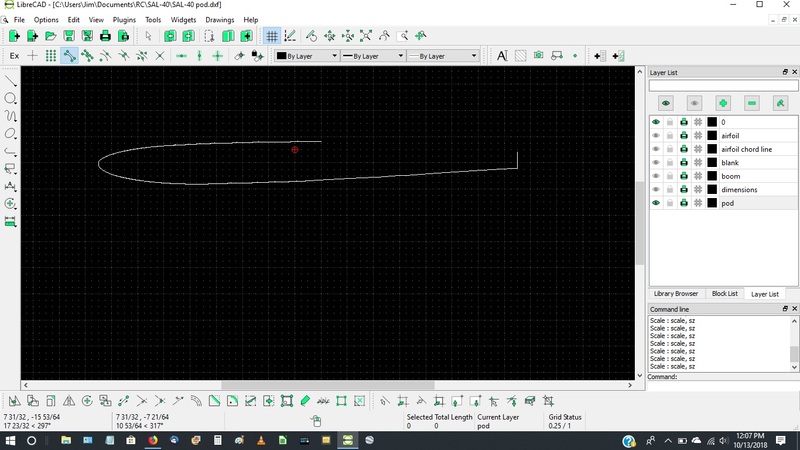 Hi - Been using LibreCAD on and off for a number of years. I've used the scaling function quite a bit but today I'm having problems getting it to work. Probably something simple I'm missing so I'll describe my process and maybe someone can spot my error? 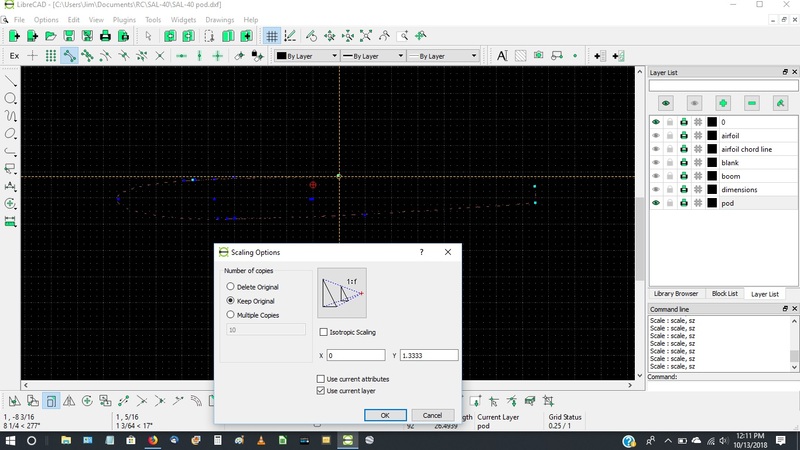 - Choose the "Scale" tool, select reference point (on top edge of the part), and set the parameters - X = 0, Y= 1.33. Click "OK". I have attached 3 screenshots showing my process. The 3rd screenshot shows the results. Just a vertical line dropping down from my reference point, equal to the depth I would like to scale everything selected. Any suggestions on what I might be doing wrong? I've done this successfully a number of times in the past. Curiously, if I set it for "isotropic scaling" (x & y scaled equally), it works as expected. x has to be 1, not zero. Have stumbled over this myself, recently. In the immortal words of Homer Simpson: "Doh!"